Find artworks, auction results, sale prices and pictures of Eugene Rukhin at auctions worldwide. 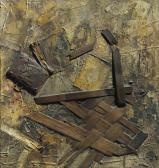 Evgeny Rukhin (1943-1976) Abstract composition signed in Cyrillic and dated 'E. 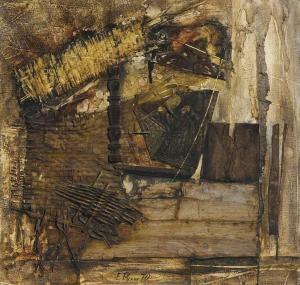 Rukhin 70' (lower right); further signed in Cyrillic and further dated 'E. 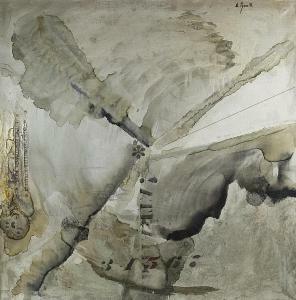 Rukhin/1970' (on the reverse) acrylic and mixed media on canvas 29 1/8 x 27 ½ in. (74.5 x 70 cm.) 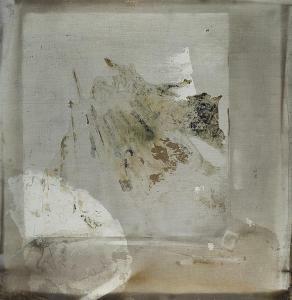 Provenance Acquired by Anna Maria Collor (1934-2011), the mother of the present owner, in Moscow in the 1970s. and goes from Lot 500 through Lot 657. We sell approximately 70 lots per hour. 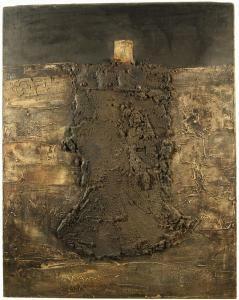 Acquired from the artist by the present owner in 1970.